I'm obsessed with this... check out all the deets! Redken Creative Consultant Guido created easy, minimal hair for Celine using satinwear 02 prepping blowdry lotion and flex mess around 10 disrupting cream-paste. 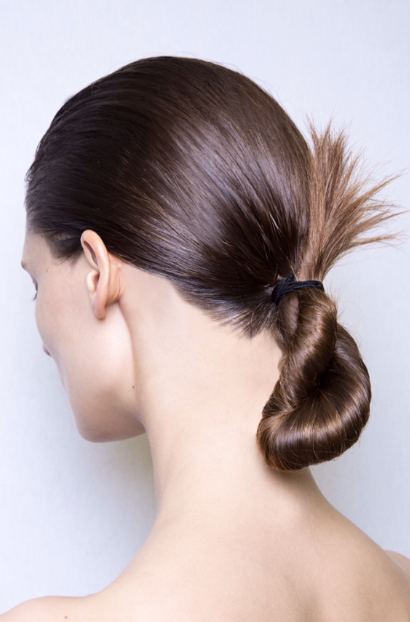 The simple Celine updo has an air of ease to it, but it also contained by the use of styling products. "So we are backstage at Celine and the hair is well, very Celine-esque, which means that it is simple and minimal. I used flex mess around 10, which is a new cream-paste from Redken, on the roots to give the hair a bit of hold and texture. I wanted the product to hold the lines created as I raked my fingers through the hair. This technique made the style feel masculine in a way." Photos by Greg Kessler for Redken. 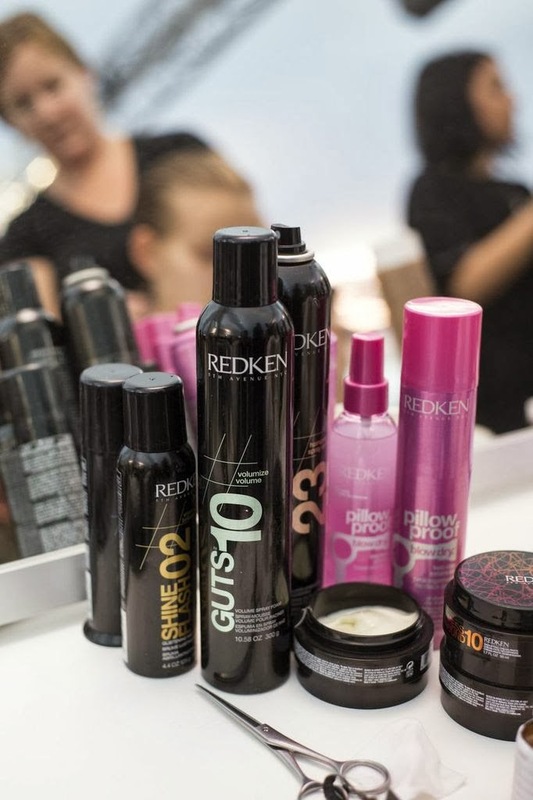 *info provided by Redken PR. Gorgeous style....I need to try this real soon !